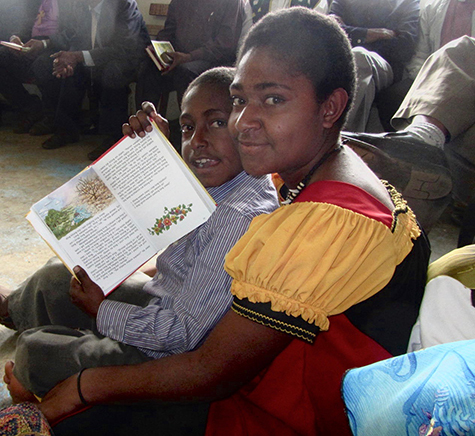 At Irylea Lutheran Church, nestled in the central highlands of Papua New Guinea (PNG), over 400 people packed the church to see, for the first time, a Lutheran Bible storybook written in their own language. PNG’s churches are brimming with children, but with no resources for them, pastors and leaders have struggled for decades with how to teach their young parishioners about Jesus and His love for them. An island country just north of Australia, PNG is a nation in transition. Prior to World War II, life there was lived as it had been for hundreds, even thousands of years: food came from hunting and small gardens; houses were constructed of materials of the earth. The people worshiped their ancestors and the spirits of the earth, and in some areas, even practiced cannibalism. Over the past 60 years, advancements have slowly come to PNG. Though many people still live in thatch-roofed houses with no electricity or running water, they have been blessed with faithful Lutheran missionaries who have brought the Good News of Jesus Christ to PNG’s 7.6 million people. 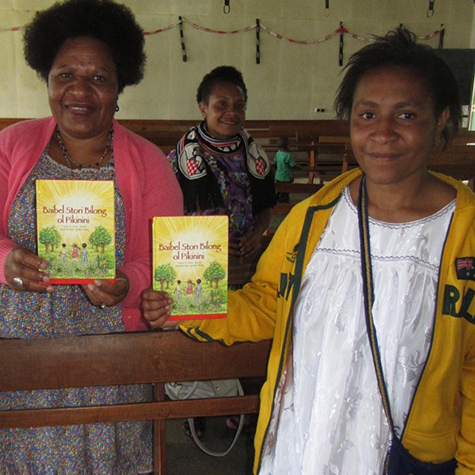 Due to the great need, LHF has printed 9,000 copies of the Tok Pisin storybook, a start in equipping the 15,000 elementary and high school students attending PNG’s Lutheran schools. “The celebration of joy in which the people of the Ireyla congregation (as well as others who traveled there) received the books was overwhelming,” Rev. Heise said. “The key was getting them to the Sunday school teachers and evangelists first, so they can begin teaching. The kids couldn’t even wait till the end of the service; they just started grabbing the books and reading!” While in PNG, church leaders expressed great interest in continuing a partnership with LHF to translate additional books not only in the Tok Pisin language, but also in Enga, spoken by a quarter million people.